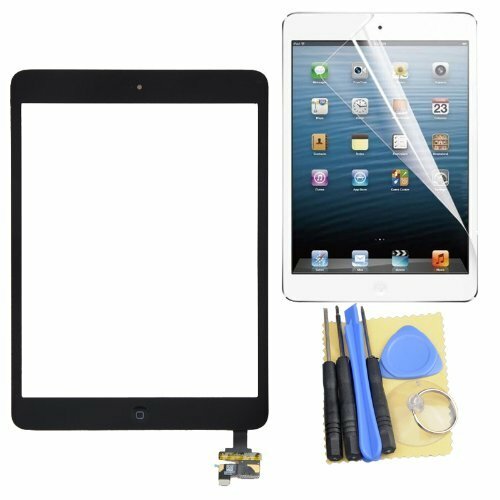 Touch Screen Digitizer IC Connector + Home Button Flex +Protector Assembly for Ipad Mini Black Adhesive has been sticked on the back of touch screen Tools included Unwanted product returns will be subject to a 15% restocking fee and merchandise must be in the new, unused, uninstalled condition only and must be returned within 14 days of purchase. If you have any questions about this product by wirelesstechtrends, contact us by completing and submitting the form below. If you are looking for a specif part number, please include it with your message.